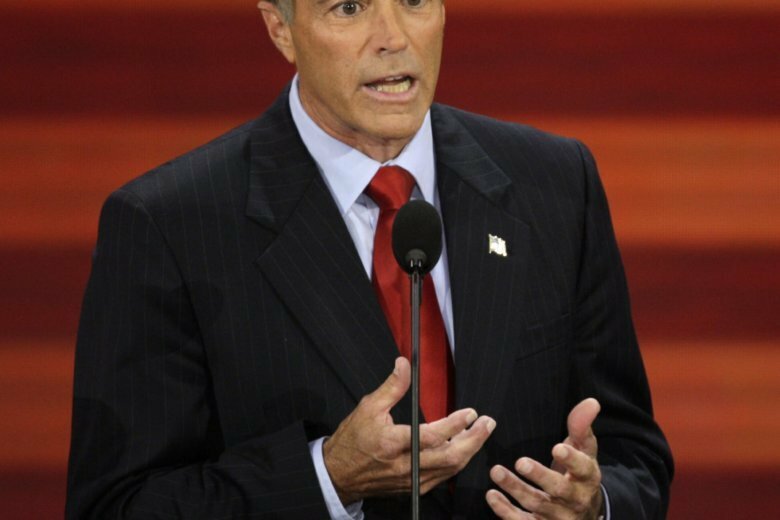 BUFFALO, N.Y. (AP) — Indicted U.S. Rep. Chris Collins of New York will remain on the November ballot despite previously suspending his campaign, confounding Republican Party leaders in his district Monday who had counted on Collins’ cooperation to replace him. The surprise decision by Collins, who pleaded not guilty to insider trading charges in August, throws the race for the western New York seat further into turmoil. Erie County GOP Chairman Nick Langworthy said Collins confirmed his plans to him Monday morning, suggesting in a phone call that removing himself from the ballot could undermine his legal defense. There was no immediate comment from Collins, and it was not clear whether he would actively campaign. Collins, an early and ardent supporter of President Donald Trump, has a $1.3 million campaign war chest. Since his indictment, Republican leaders across the eight counties of the right-leaning district between Buffalo and Rochester had been working to remove Collins from the congressional ballot by making him a place-holding nominee for another position such as county clerk. They were expected to announce their choice to replace Collins on the congressional ballot as early as this week. Democratic National Committee Chairman Tom Perez happened to be in the Buffalo area Monday for the opening of the campaign headquarters of Nate McMurray, who is running for Collins’ seat. As about 150 supporters gathered for the event in Hamburg, news of the Republican’s decision to stay on the ballot was spreading via mobile phone news feeds. McMurray, town supervisor in suburban Grand Island, downplayed any impact on the race. “We were always running against team Collins. It’s not just him, it’s the system. … We’re fighting against corruption, and that corruption is top-down. It’s a team of people who said, ‘This man is our standard bearer,'” McMurray said. Immediately after being charged in August with illegally using inside information about a biotech company to help his son avoid hundreds of thousands of dollars in losses, Collins said at a news conference that he would continue his re-election campaign while fighting the charges. Less than a week later, he announced he was ending his campaign, saying it was in the best interests of his constituents, the Republican Party and Trump’s agenda. He confirmed that position during a television interview a week ago. Associated Press writer Chris Carola in Albany contributed to this report.